Hosa YPP-308 Stereo 1/4" Female to 2 Stereo 1/4" Male Y-Cable - 6"
Product #21910 | SKU YPP-308 | 0.0 (no ratings yet) Thanks for your rating! 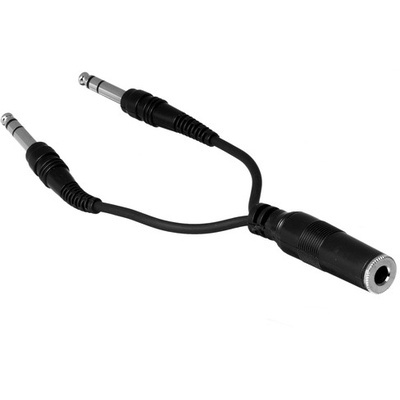 This Hosa Stereo 1/4" Female to 2 Stereo 1/4" Male Y-Cable will split a stereo signal into two stereo signals. Ideal for sharing personal portables devices via the stereo output.